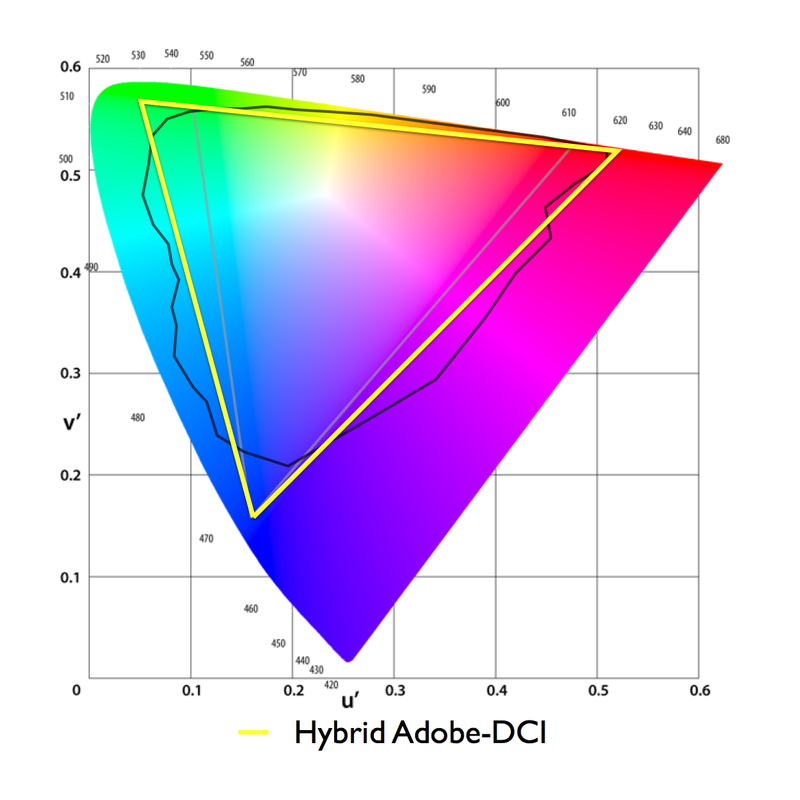 sRGB, Adobe RGB 1998, DCI-P3, NTSC, rec.709, rec.2020 All about the standards, what they are and where we are going. 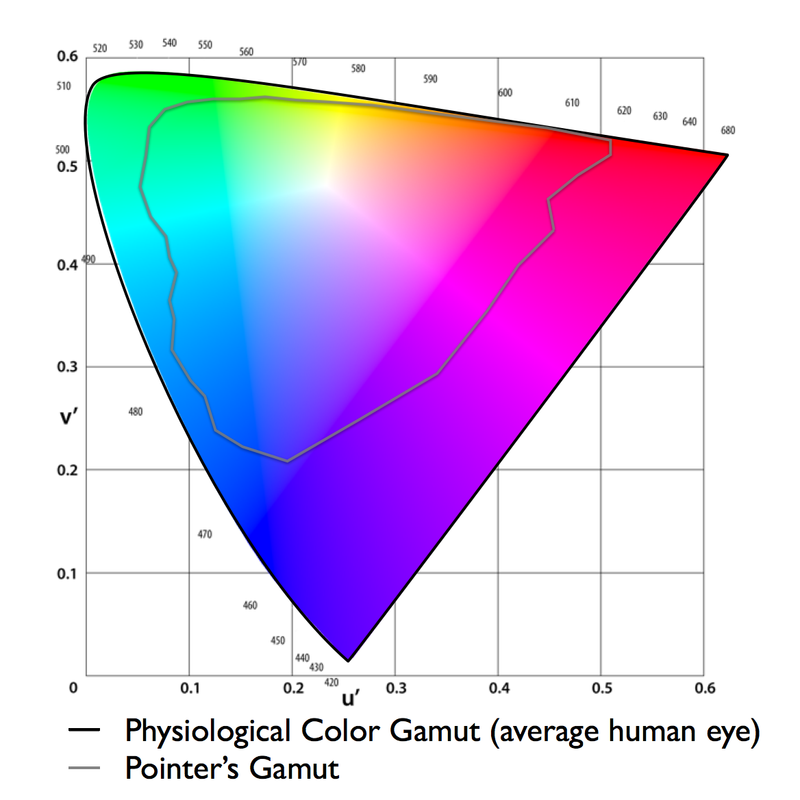 I’ve often advocated on this blog for Pointer’s Gamut as an important design goal for display makers but is it really practical today from a technology perspective? Pointer’s Gamut covers a huge area and it’s odd shape makes it awfully difficult to cover with just three primaries. Rec.2020, the leading Pointer’s-covering color gamut broadcast standard and de facto standard for upcoming UHD broadcasts, demonstrates this perfectly. It uses very deep red and green primaries to ensure that all those purples and cyans can get squeezed it into the triangle. It’s certainly tough to make a display that can reproduce primary colors that are that saturated and it is especially hard to do so efficienctly. Until now the displays that have come closest rely on an esoteric and power-hungry laser backlight system that can only cover up to about 91% of rec.2020 spec. That is impressive given how ambitious rec.2020 is but a bulky $6,000 laser display doesn’t exactly qualify as practical and it’s certainly not a technology that we are likely to find in a tablet or smartphone anytime soon given it’s low power efficiency. My company, Nanosys, has been working on this problem and we now think it is practical to produce an LED LCD that covers over 97% of rec.2020 using Quantum Dot technology. The latest generation of our Quantum Dots emit light with a very narrow Full Width Half Max (FWHM) spec of below 30 nanometers for both red and green wavelengths. FWHM is pretty obscure spec to be sure but it means that the color is both very pure and accurate. That pin-point accuracy actually enabled us to demonstrate over 91% rec.2020 just by modifying an off-the-shelf, standard LCD TV set with a specially tuned sheet of Quantum Dot Enhancement Film (QDEF). Very impressive and even a bit better than the performance of that laser TV but still not quite all the way there. What else could be optimized to improve the system and get us closer? Looking at the spectrum after the color filters revealed a significant amount of blue leaking through the green filter. This leakage was causing the blue point to shift away from the rec.2020 primary. By optimizing the system and selecting a different blue color filter material with a sharper cutoff, Nanosys engineers showed that it is possible to build a display that covers over 97% of the rec.2020 standard– with great power efficiency. Quantum Dot enhanced displays are in mass production today, they are used in commonly available displays on the market today. Their high power efficiency also means they can be used in all kinds of devices from smartphones to TVs. 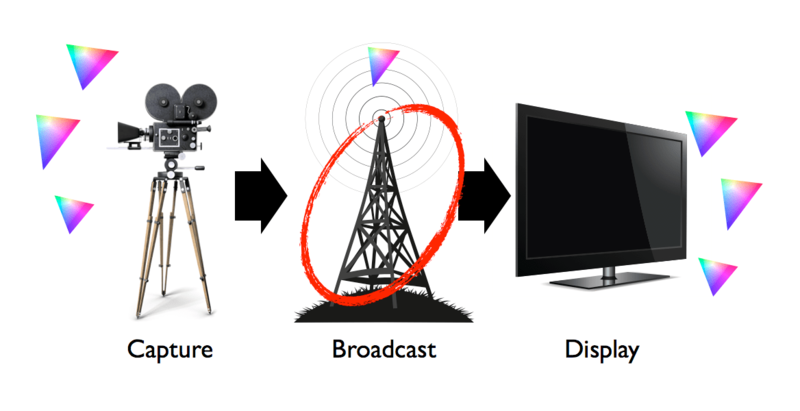 So, for the first time, it is actually becoming practical to build displays that cover the massive rec.2020 standard and since rec.2020 is part of the UHD broadcast spec this great news for the next generation of 4K and 8K devices. The truth is, customers want a great experience and they want quality and they want that a-ha moment each time that they use the product, and that’s rarely a function of any of those things. If you look at displays, some people are focused on size. There’s a few other things about the display that are important. Some people use displays, like OLED displays, the color saturation is awful. And so if you ever buy anything online and you want to really know what the color is as many people do, you should really think twice before you depend on the color of the OLED display. 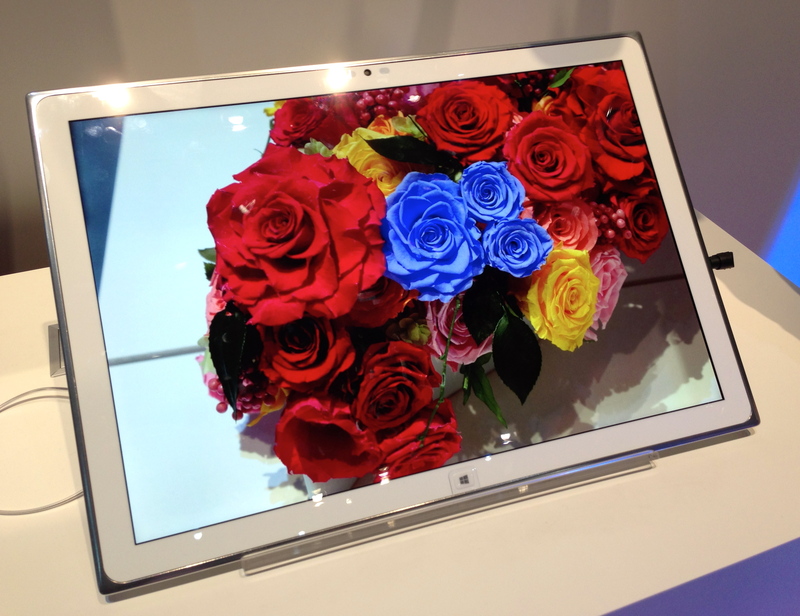 The Retina display is twice as bright as an OLED display. I only bring these points up to say there are many attributes to the display, and what Apple does is sweat every detail. He makes some fair points here. If a display is not bright enough to view in all conditions, not efficient enough to get you through a whole day or accurate enough to display your favorite content, the experience of the whole device suffers. 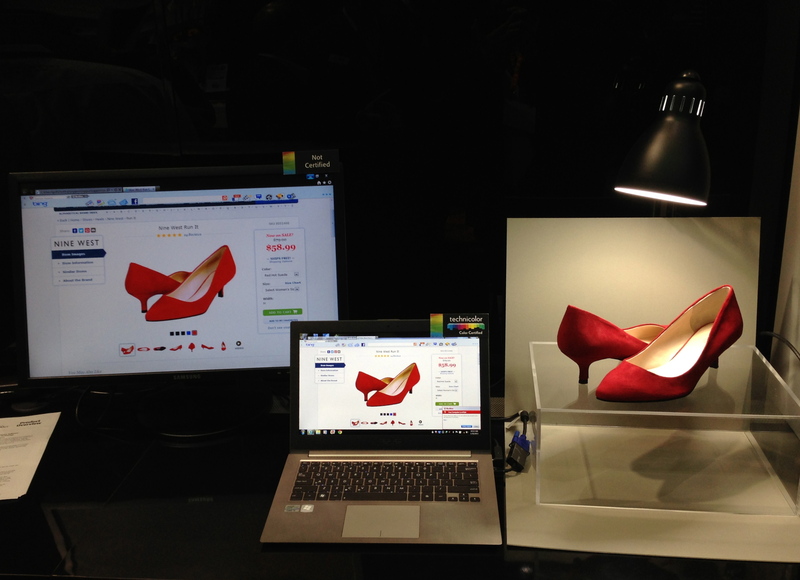 Choosing the right display technology is certainly a critical part of the design process. 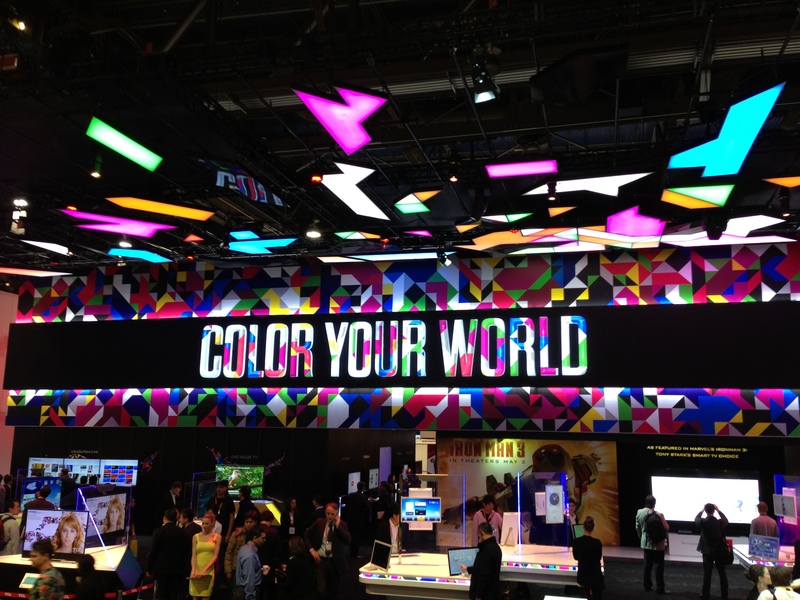 OLED technology’s power consumption and saturation issues have been well established already. What I find most interesting in Tim’s comments is the idea that high color saturation is intrinsically a bad experience. It certainly has been that way so far but the difference between a great color experience and the gaudy oversaturation of today’s OLEDs is in exactly the kind of implementation details he’s describing above. OLED and emerging LCD technologies, like quantum dot displays, can actually show a much wider range of colors than today’s devices– over 40% more of the color that our eyes can detect. This means that, when paired with the right content, high saturation displays can more accurately reflect the world we see around us resulting in a more lifelike, immersive experience. 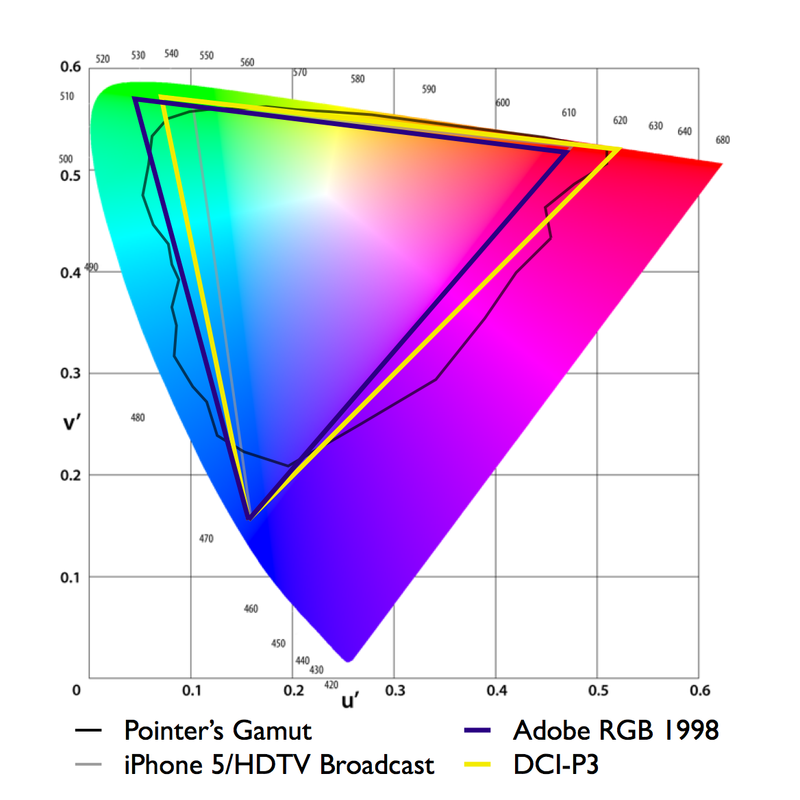 But how do we get wide color gamut content into consumers hands? It’s a lot like the chicken and egg/content and technology dilemma facing 4K TV makers with two key differences- wide color gamut can be delivered with no change in file size and there’s plenty content out there already. 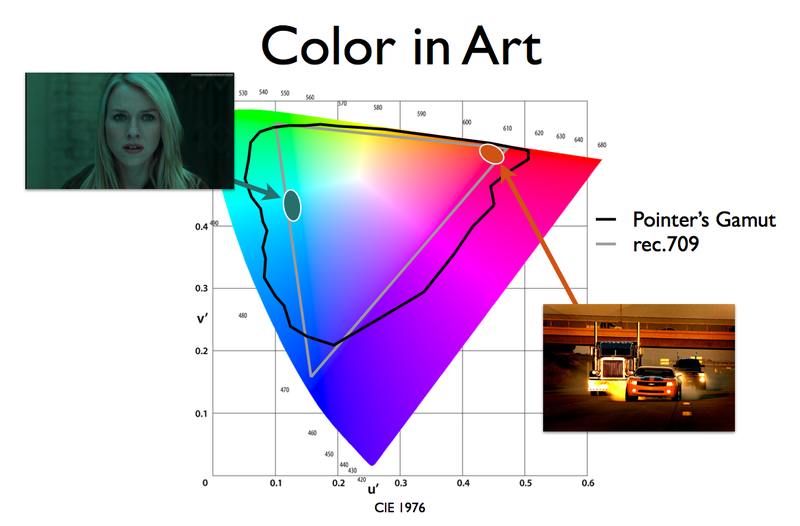 As an example, movies have been shot for decades on media, both film and digital, that has a much wider color gamut than your TV does today. Much in the same way that 4K TV’s can upscale HD video, it’s also relatively easy to manage the color on a device to make it backwards compatible with today’s content. OLED implementers have thus far been content to take advantage of the extra pop that added color saturation provides when comparing devices on a store shelf. They’ve left a tremendous amount of overall ecosystem value on the table. 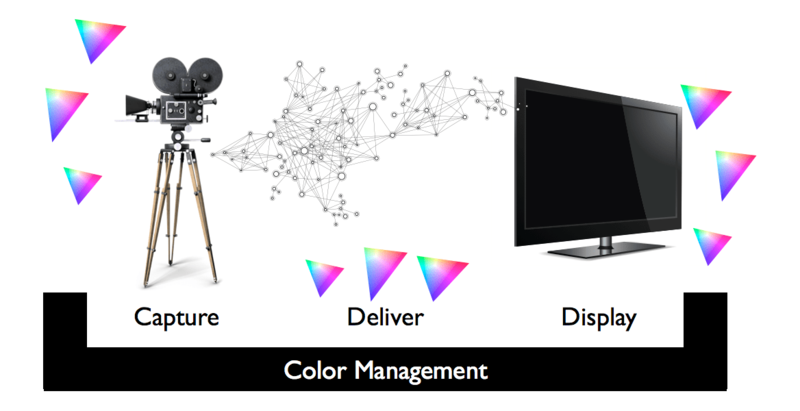 It’s possible to deliver video in cinema-level color quality to mobile devices, to offer developers the tools to take full advantage of a wider color palette and to implement accurate color management for existing content. Wide color gamut is ready now, it’s just waiting for the right device maker to come along and put all these pieces together to perfect the experience. The ITU announced today that it’s members have agreed upon a new high efficiency video codec. Dubbed HEVC H.265, the new format is designed to improve on and ultimately replace the current king of all codecs, H.264/MPEG-4 AVC which covers 80% of internet video today. So far, a lot of attention has been given to the codec’s ability to deliver the same quality video as 264 with only half the bandwidth. That kind of efficiency improvement is a big deal– it could reduce strain on networks and bring high-resolution 4K content delivery over the internet closer to reality. There are also some important changes for color in the new spec. Recent drafts by the ITU’s Joint Collaborative Team on Video Coding (JCT-VC) have added support for wider color gamuts like Adobe RGB 1998 and 12-bit video. 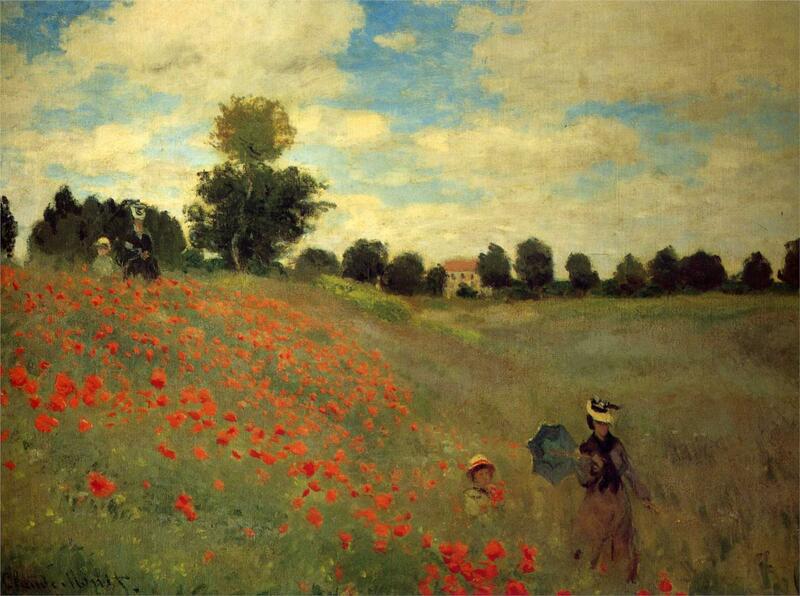 This paves the way for fantastic looking color as wide gamut-capable hardware starts to become more widely available.